Wildfire creates an orange glow in a view from a hilltop Oct. 13, 2017, in Geyserville, California. Editor’s note: The federal government has declared a public health emergency in Northern California due to wildfires burning across 10 counties. One major threat is smoke, which is causing unhealthy air levels across a wide area, including San Francisco. Atmospheric chemist Richard Peltier explains why smoke from wildfires is hazardous and what kinds of protection are effective. Wood smoke contains a mixture of microscopic droplets and particles and invisible gases that spread downwind from the fire source. Surprisingly, relatively few studies have investigated the types of exposures we are now seeing in California. Most studies focus on very controlled laboratory experiments, or forest fire fighters who are working on controlled burning, or exposures people in developing nations experience when they use primitive cook stoves. None of these accurately reflects conditions that Californians are experiencing now. For the most part, wildfire smoke is a mixture of carbon monoxide, volatile organic carbon, and particles that include alkaline ash, black carbon and organic carbon, which usually contains polyaromatic hydrocarbon, a known cancer-causing agent. 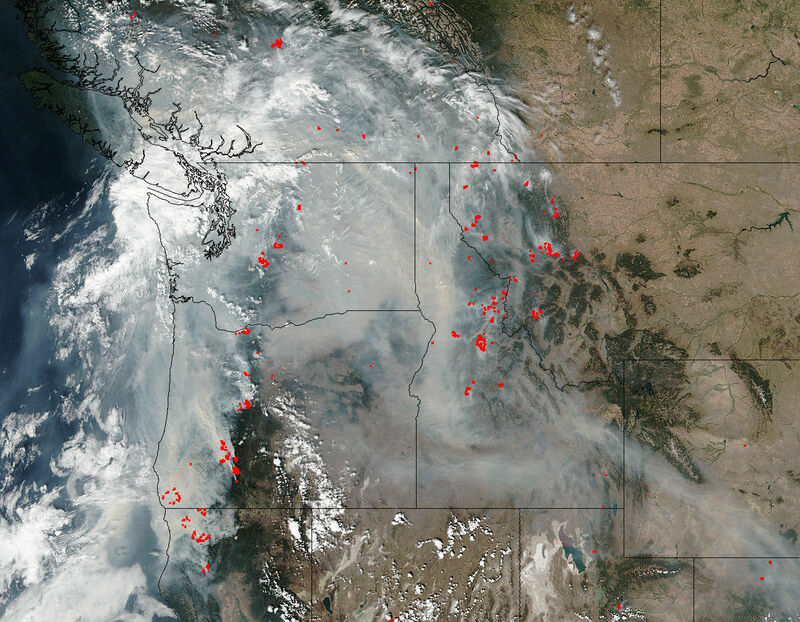 Smoke from wildfires in Northern California, Oregon, Washington, Idaho and Montana blankets much of the Pacific Northwest on Sept. 5, 2017. Smoke tends to become more diluted with distance from the source, but there really isn’t any way to estimate a safe distance where the pollutants are so diluted that they pose no risk. Eventually, rainfall will clean all of this pollution from the atmosphere, but that can take days or even weeks. 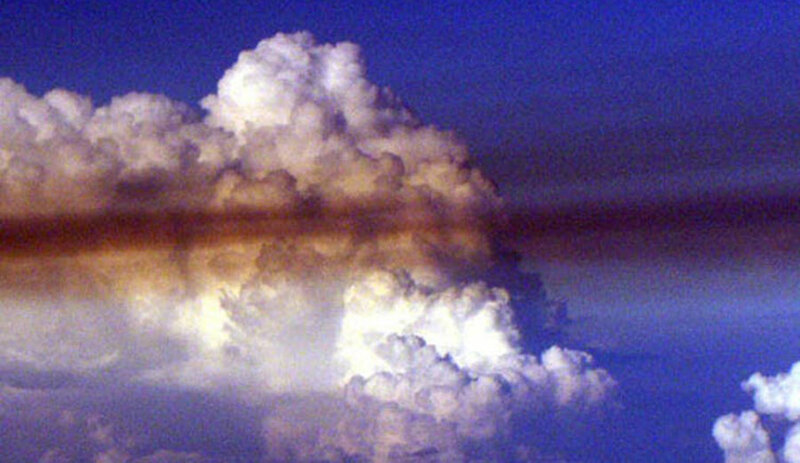 In the meantime, these pollutants can travel thousands of miles. That means air pollution from wildfires may threaten people who are far downwind. How do the worst pollution levels from the wildfires in California compare to bad air days in a megacity like Beijing or Mumbai? The concentrations of pollution in communities downwind of these fires are on par with what we see in rapidly growing cities such as Mumbai and Beijing. But there is an important difference. In California, these pollutants affect a relatively small geographic area, and the affected areas can rapidly shift with changing weather patterns. In locations like Mumbai and Beijing, high concentrations are sustained across the entire region for days or even weeks. Everyone in the community has to endure them, and there is no practical escape. For now, though, Californians are experiencing what it’s like to live in a developing country without strong air pollution controls. Portable high-efficiency filter devices – often marketed as HEPA – can remove indoor air pollution, but often are too small to be effective for an entire house. They are best used in individual rooms where people spend a great deal of time, such as a bedroom. And they can be very expensive. The California fires are affecting thousands of people, and it is good to see that firefighters are starting to contain them. But there will be more wildfires, so we need to learn more about how smoke exposure affects people long after the fires end.